If you ask me, meatballs are bite-sized morsels of awesome. Perfect as an entree or appetizer, meatballs are comfort food at its most versatile! All of these recipes are gluten free and natural crowd-pleasers. Throw them in a sandwich, over pasta or potatoes, or serve a la carte as an appetizer. Family friendly, all of these recipes come ready with a delicious sauce and need nothing more than a hungry audience! Lemon-Cumin Chicken Meatballs Light and citrusy, these meatballs are perfect served over mashed potatoes or pasta, paired with toasted almonds with broccoli. Sicilian Meatballs Using raisins and gluten free amaretti, these meatballs are the perfect combination of sweet and savory. This is not your Nana's meatball! Curry Meatballs in a Creamy Tomato-Coconut Sauce With an Eastern twist, this blend of flavors takes ordinary meatballs to a whole other level! Swedish Meatballs My grandmother's recipe for crispy-edged Swedish meatballs, spiced with nutmeg and simmered in a milk-gravy. Swedish comfort food at its best. 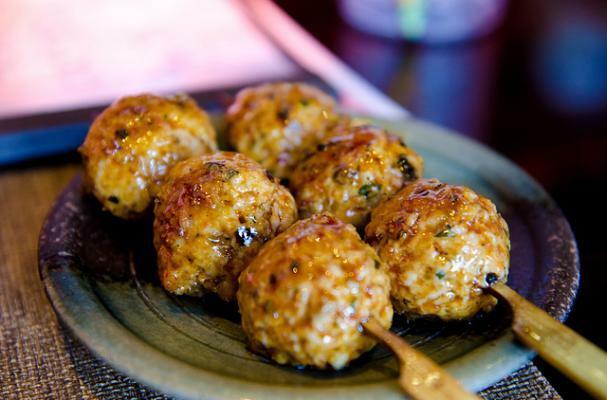 Traditionally known as koftas, these sausage-shaped "meatballs" are naturally gluten free and full of Kashmiri flavor! Combine lamb, ginger, cumin, ground cloves, ground cinnamon, nutmeg, black pepper, cayenne, salt and 3 tablespoons of the yogurt in a large bowl. Mix well. Wet hands and shape mixture into approximately 24 koftas, 2-3 inches long and 1-inch thick. Heat oil in a large, heavy-bottomed (or cast iron) skillet. When hot, add whole spices: cinnamon stick, cardamom pods, whole cloves and bay leaves. Stir. Add meatballs in a single layer and fry on medium-high heat until lightly browned on all sides. Beat remaining yogurt and warm water. Pour yogurt-water mixture over the meatballs and bring to a boil. Cover, reduce heat and simmer for 30 minutes, turning the meatballs every 8 minutes. After a half hour, all of the liquid should have evaporated, leaving only grease in the pan. If necessary, turn the heat up to evaporate the yogurt-water mixture. Remove koftas with a slotted spoon, leaving the whole spices behind. Serve with basmati rice.